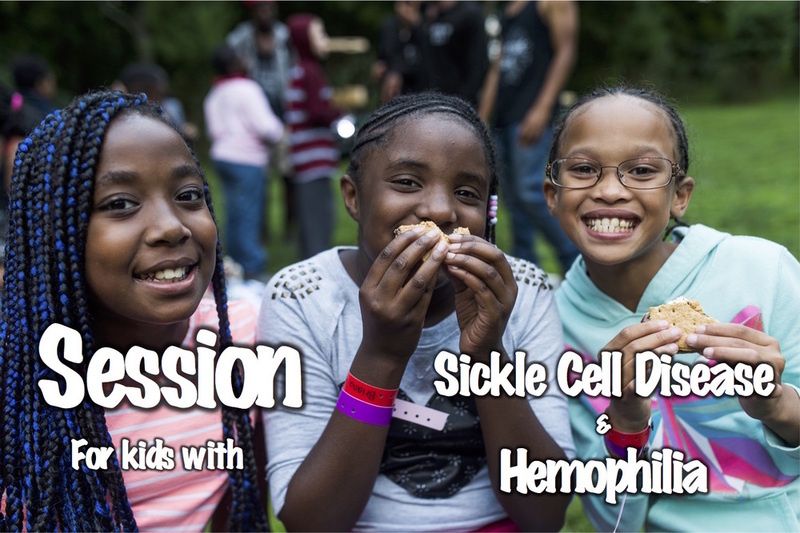 The Hematology Session is for kids with Hemophilia and Sickle Cell Disease. Our goal is to provide an exhilarating, challenging, and nurturing camp experience through which children gain a greater sense of independence, self-esteem, and self-reliance. Dragonfly Forest aspires to maximize the beneficial therapeutic impact of camp with a state-of-the-art facility and an innovative camp program which integrates peer support and outdoor adventure with high quality medical care, supervision, and education. While constant vigilance is given to the medical needs of the campers, the trappings of a medical presence are avoided everywhere. Our infirmary is located in the area of camp called “The Getaway.” The Getaway is devoid of the steely look and antiseptic smell. Clad in t-shirts and shorts, medical personnel made up of volunteer nurses and doctors (from some of the areas largest pediatric hospitals) provide round-the-clock medical coverage for our campers. For this session we have two separate medical teams each who specialize in their respective disease states.